PESHAWAR -- The death of al-Qaeda leader Qari Muhammad Yasin is a blow to the morale of terrorists on both sides of the Pakistan-Afghanistan border, security analysts say. Yasin, a senior terrorist leader with ties to Tehreek-e-Taliban Pakistan (TTP), was killed in an air strike March 19 in Paktika Province, Afghanistan, officials confirmed March 25. His death is viewed as a major success in the war on terror as Yasin was an entrenched leader of militant groups in Pakistan and Afghanistan, as well as in the al-Qaeda network. Video screenshot of Qari Yasin speaking at an event years ago. Yasin, who went by several aliases including Ustad Aslam, was accused of plotting the September 20, 2008, bombing of the Marriott Hotel in Islamabad that killed more than 50 people and injured at least 266. He also was responsible for the March 3, 2009, attack on a bus carrying the Sri Lankan cricket team in Lahore. Six Pakistani policemen and two civilians were killed and six members of the team were injured. According to Pakistani "Most Wanted" lists, Yasin was also behind failed attempts to kill former President Pervez Musharraf in 2003 and former Prime Minister Shaukat Aziz in 2004. Now, with terrorist groups on the defensive, Pakistan and Afghanistan must step up efforts to further eliminate militants on both sides of the border, Afghan Ambassador to Pakistan Omar Zakhilwal told Pakistan Forward. 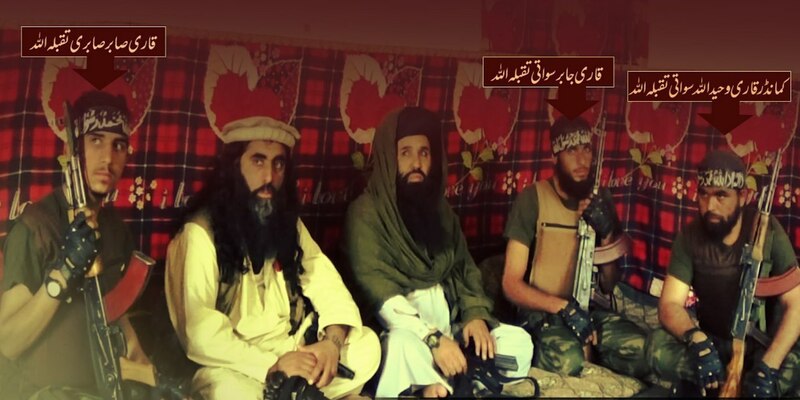 The elimination of Yasin and many other high profile terrorists -- such as "Islamic State of Iraq and the Levant" (ISIL) leader Hafiz Saeed Khan and TTP leader Umar Naray, mastermind of the December 2014 Army Public School attack in Peshawar, both of whom were killed in July 2016 in Nangarhar Province, Afghanistan -- indicates the effectiveness of intelligence sharing and joint military efforts, he said. "It shows our resolve and commitment to eliminate terrorists of all forms from Afghan soil at all costs," Zakhilwal said, adding that militancy is a threat to the security of Pakistan and Afghanistan and that both countries should join hands to get rid of it. "Pakistan and Afghanistan should enhance their intelligence network to hunt down the terrorists hiding along the Pakistan-Afghanistan border," he said. The killing of Yasin, who was wanted by Pakistan with a bounty of Rs. 2 million ($19,100), is demoralising for his sympathisers and the terror networks with which he was affiliated, said Brig. (ret.) Mehmood Shah, former security secretary for the Federally Administered Tribal Areas (FATA). The strike was important and now further efforts should be made to take out other high profile targets such as TTP chief Mullah Fazlullah and Lashkar-e-Islam commander Mangal Bagh, he said, as this would "hit the nerves of the terror networks". 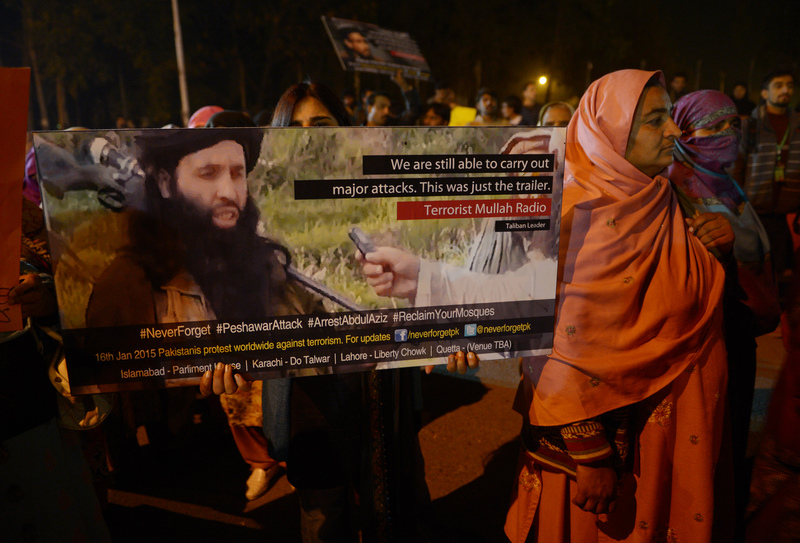 Whenever a high value target is hit, the damage to the terrorist networks is exponential, said Professor Syed Hussain Shaheed Soherwordi, an expert on Pakistan-Afghanistan relations at the University of Peshawar. "We may not be able to say that the terror threat is gone, but it is damaging to the command and control of the network when they lose someone of great value," he told Pakistan Forward. "The killing of Qari Yasin is also a big achievement and a great success where the war on terror is concerned," he said. Yasin had been involved in attacks on the Pakistan Army's headquarters in Rawalpindi and on Inter-Services Intelligence offices, as well as many other attacks against important Pakistani installments and leaders, "so his death is a morale booster for the troops", Soherwordi said. "Qari Yasin was a master planner for big attacks as well a motivational figure for young recruits, so the terror networks will be suffering a lot without him," said Nasir Dawar, a tribal journalist based in Peshawar. Yasin's death is "a big blow to the TTP and the Punjabi Taliban with whom he had been affiliated for a long time", he told Pakistan Forward. "Qari Yasin was important as he had great command over the terrain and had close ties with al-Qaeda as well as the new emerging nexus of all militant groups," said Farzana Shah, a journalist with Asian Tribune. "He also had good links with the Afghan Taliban as well as other foreign fighters, so it is by all means a very big blow," she told Pakistan Forward. "No matter how the high value target is eliminated and where, it is important that they are hit continuously to stop the terror network from regrouping and reuniting," she said. Afghanistan's Ministry of Defence confirmed the death of Pakistani Taliban chief Mullah Fazlullah in what security analysts called a 'big loss' to the militants.